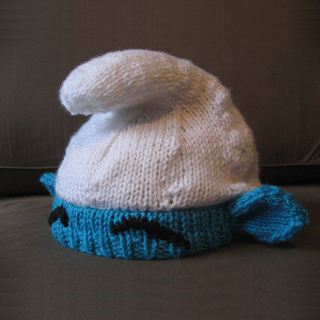 Classic Smurf Hat - perfect for smurfing around town. 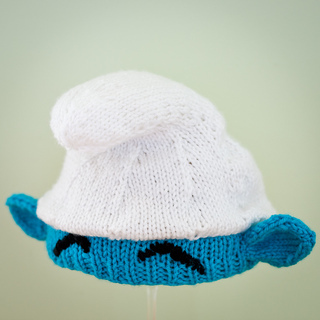 Brighten up your kid’s winter days with this fun hat! Made using short rows and modular pieces. 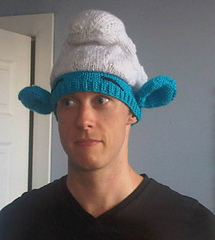 Easily adaptable for adult size by using Lion’s Brand Chunky yarn and size 10 needles.